Kurt Schwitters or Herman Edward Karl Julius Schwitters is a German artist best known for his series of collage art. He was born from an affluent family in Hanover on June 20, 1887 as an only child to Edward and Henriette Schwitters. His family was in the business of selling women’s clothing, and the business was sold off to buy five properties in Hanover. These properties were rented out and the money they earned provided for the comfortable life of the Schwitters. Schwitters went to Kunstgewerbeschule in Hannover in 1908 to 1909 and then in 1909 until 1914 he studied in the Kunstakademie Dresden where he was classically trained as a painter. At the age of 30, he was drafted into the military, but due to his epileptic episodes he was discharged after four months. At the time he was in the military, he served as a draftsman confined in the orderly room. 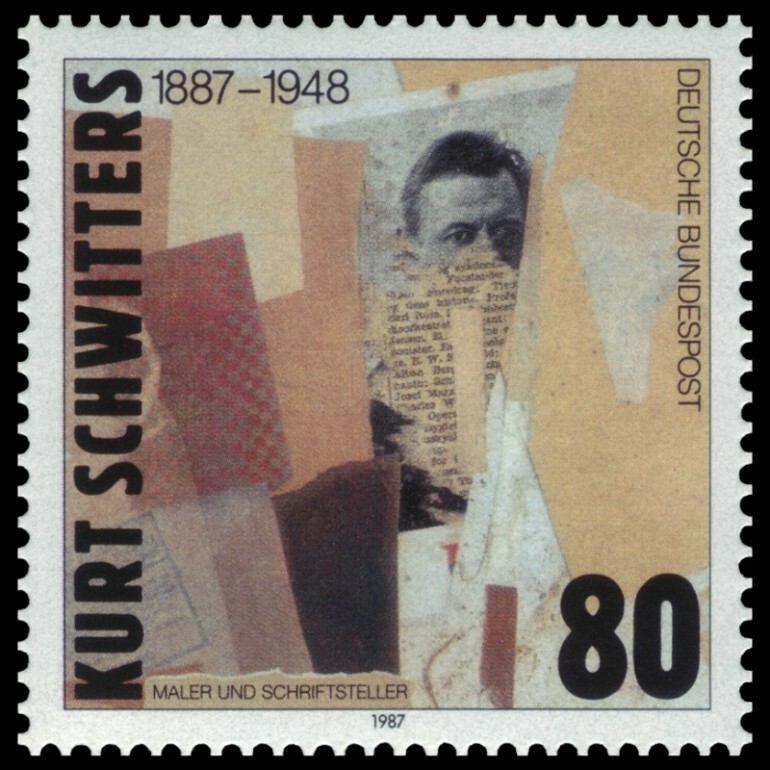 Schwitters’ stint in the service left him intense imprints of the war and the inflation it caused. This influenced the first collages he produced in 1918. Trash and scraps he found by chance were the primary medium for the said piece. Schwitters believed that the destruction of the war can arouse the creativity of people and their propensity to create. The scraps and rubbish – reminiscent to how the war has left the world – may be collected and put to together to create something awe-inspiring. He coined the term Merz, which he derived from the word Kommerzbank, to describe and brand his style in art poetry, which then became a stern foundation of the Dadaist movement in Hanover. In a similar sense, the term Merz was intentionally non-sense and illogical to reflect the nature of his style that rejected the traditional and classical art methods. His invention of the term was purely by chance when he was making one of his collages in 1919. A piece of scrap with the words “merz” which was from a printed advertisement for the Kommerz-und Privatbank was included in his collage. Merz was a whole process, lifestyle and philosophy for Schwitters. 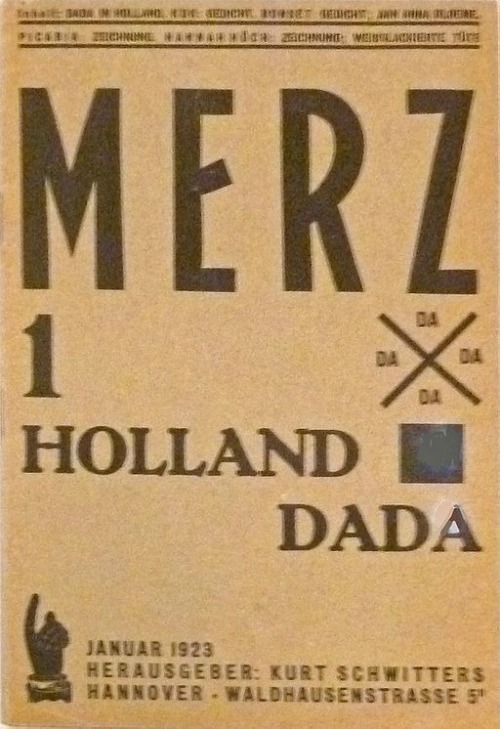 “He was a merz-artist who made merz-paintings and merz-drawings, and naturally, the place where he merzed—his studio and family home—was his merz-building, or Merzbau.” The Merz brand is characterized with the use of rubbish and scrap materials such as labels, ripped posters, bus tickets and broken wood put together to create a picture. Schwitters developed his studio or the Merzbau over the years which eventually became a huge walk in piece of art. It was composed of grottos, columns and found rubbish and was constantly expanding and changing then. For Schwitters, it was not just his studio and home – the Mezbau was in itself his masterpiece. The residence of Schwitters served as the main frame of the Merzbau. Several grottos, columns and other materials were installed into the different rooms of the structure. The ceilings and walls were adorned with three-dimensional shapes and various found objects. The installed pieces were consistently expanding with new additions and arrangement. Some nooks and grottos were destroyed with the new additions thus claiming that earlier versions of the art only exists in the memories of those who witnessed it. The Merzbau was ever changing and Schwitters even claimed that it was perpetually growing thus it was permanently unfinished. Schwitters created the Hanover Merzbau from 1923 until 1937 until he had to flee to Norway in order to escape Nazi Germany. Unfortunately, at the height of the war, the Merzbau was bombed by the Allied forces in an invasion.